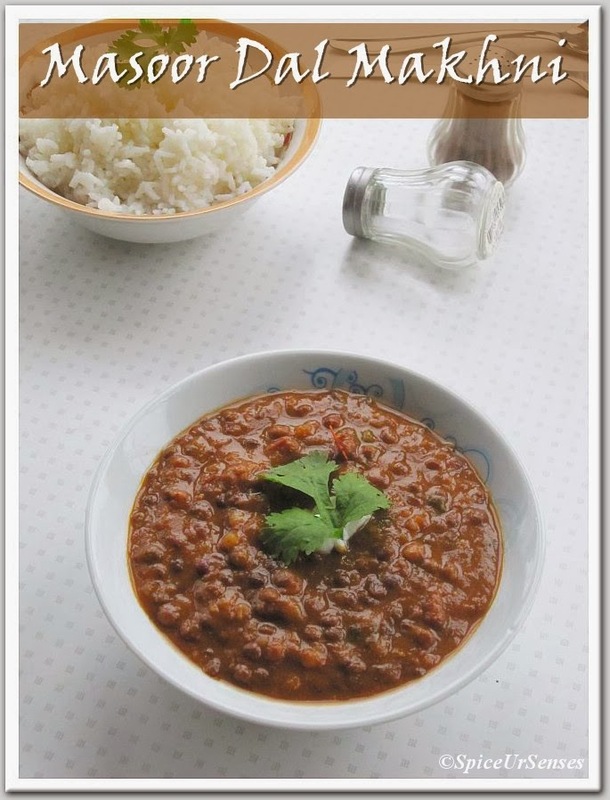 Soak the rajma for 3 to 4 hours, then in a pressure cook add whole masoor dal, rajma, salt and 2 cups of water and boil for 4 to 5 whistle on a low flame. After boiled take out from the pressure cooker and set it aside. In the same pressure cooker, add butter and oil, when hot add cumin, onion and green chillies, fry to golden brown, then add all the masala powder, ginger garlic paste and tomato, fry all the masala till the oil start separating and keep smashing the tomato in between. 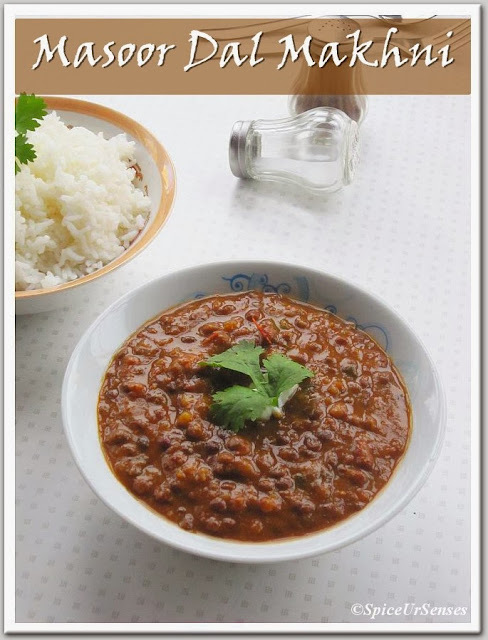 Now add the boiled dal and little water if required and give a nice mix, adjust the salt and close the pressure cooker lid and cook for another 2 whistle on a low flame.. Allow the pressure to go completely before opening the pressure cooker. 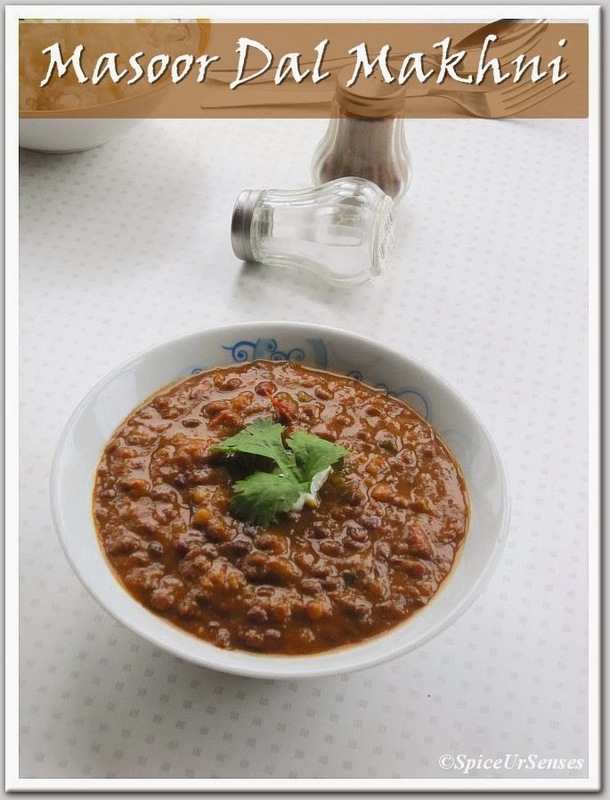 Then mix in the coriander leaves and (cream or milk) give a quick mix and again close the pressure cooker.. Whole Masoor Dal Makhni is ready to serve. 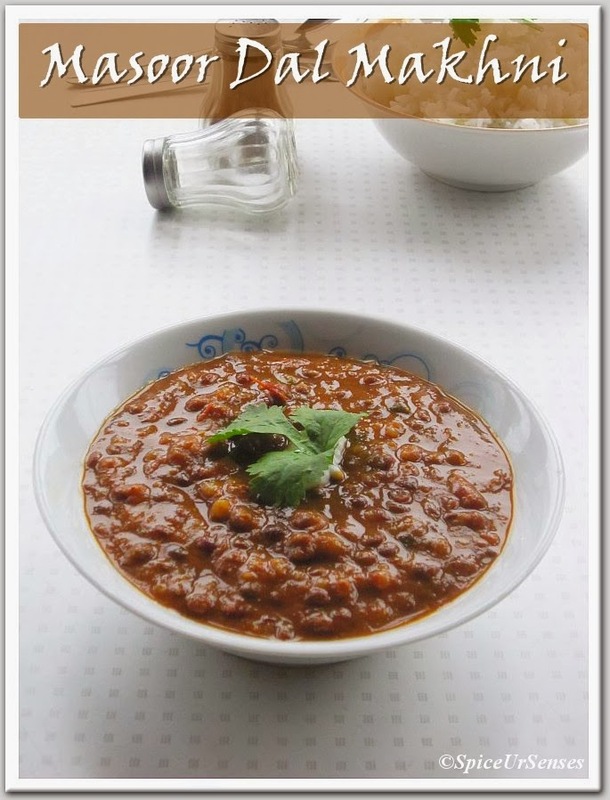 Serve hot with Jeera Rice or Naan..
Super da,adding milk is something that I have never tried out. 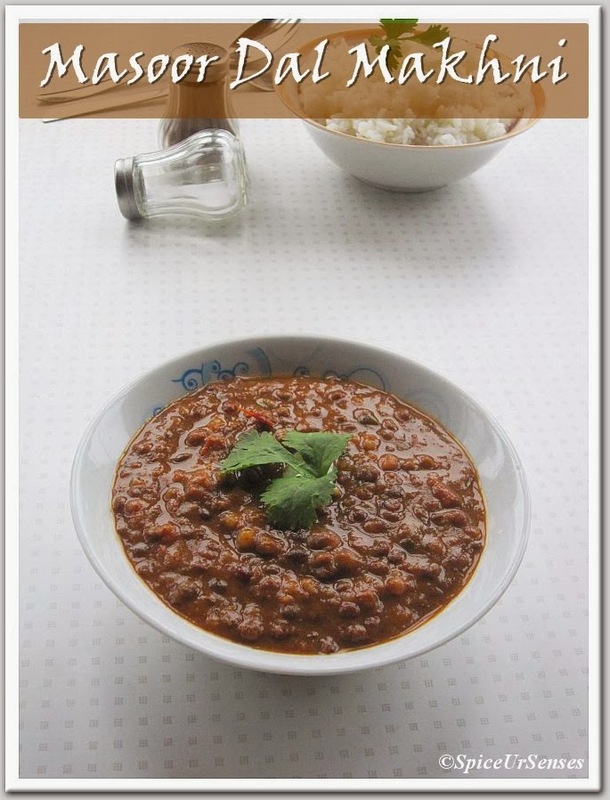 wow...dhal makhani looks awesome and perfect! Masoor dal makkani is new to me.. deliciously prepared gravy.. Beautifully captured .. Incredible and terrific dish,cant resist.Love that u used whole masoor dal.. Delicious dal makhani, I love that you made without urad dal.